The professionals of Full Tilt Poker include the best and most famous poker players in the world. Their accomplishments are unparalleled, with countless World Series of Poker and World Poker Tour championships to their names and well in excess of $100 million in winnings in private games. 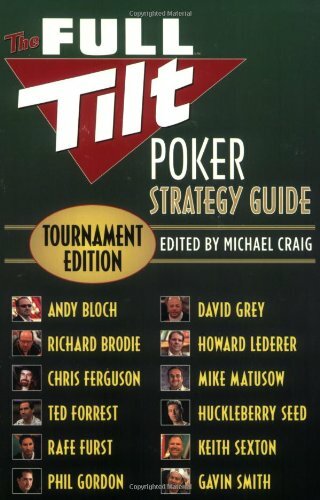 Now, this group of poker legends has banded together to create THE FULL TILT POKER STRATEGY GUIDE, which will stand as an instant classic of the genre and is sure to become the industry standard.